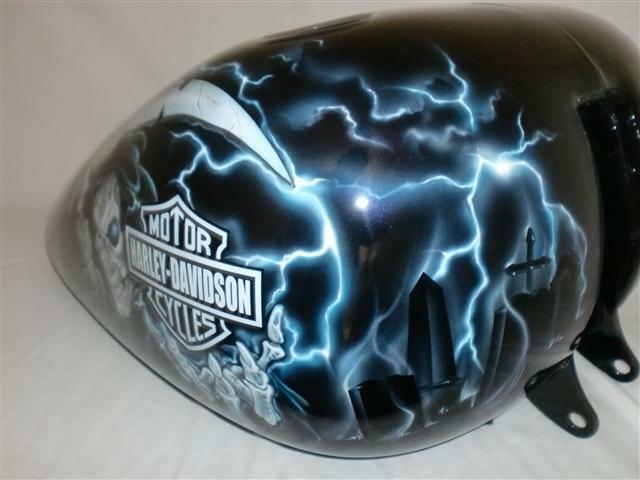 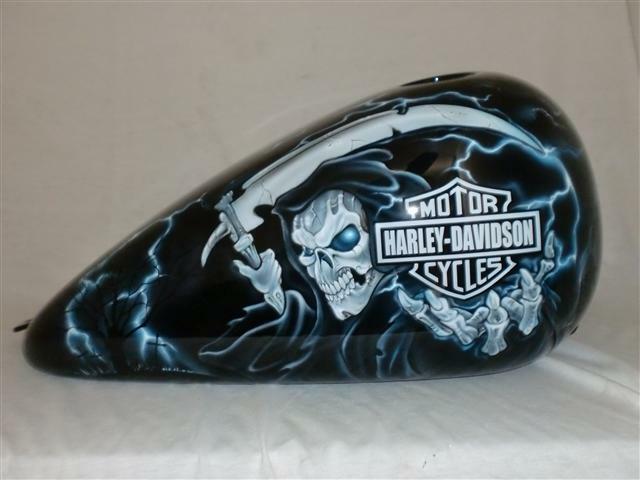 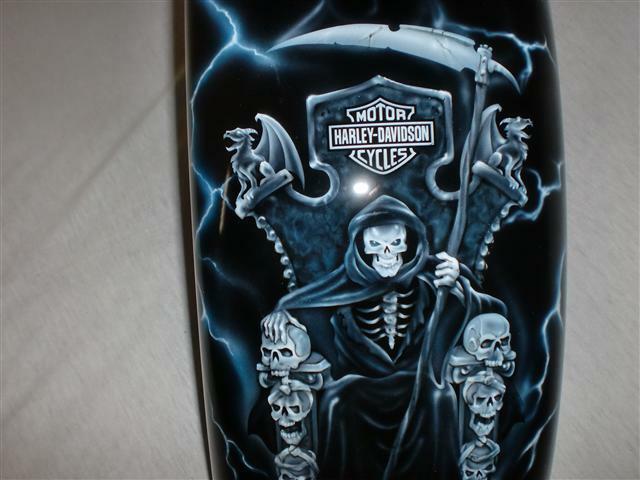 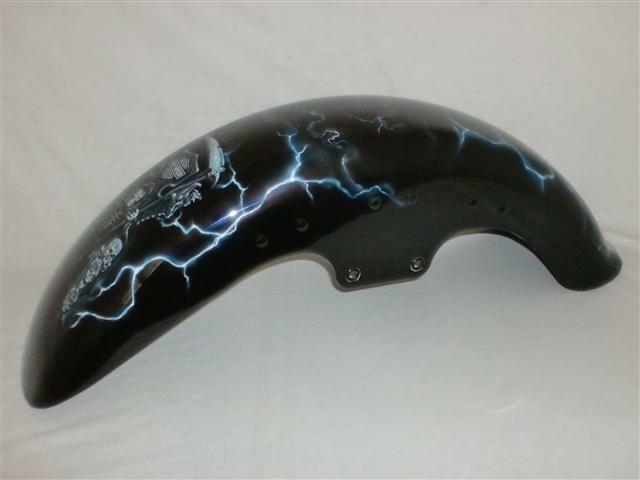 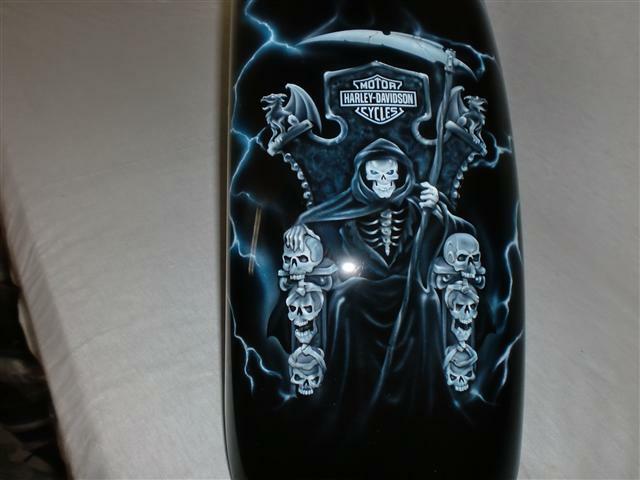 Harley Davidson bar and shield gripped by a grim reaper in the middle of a storm. 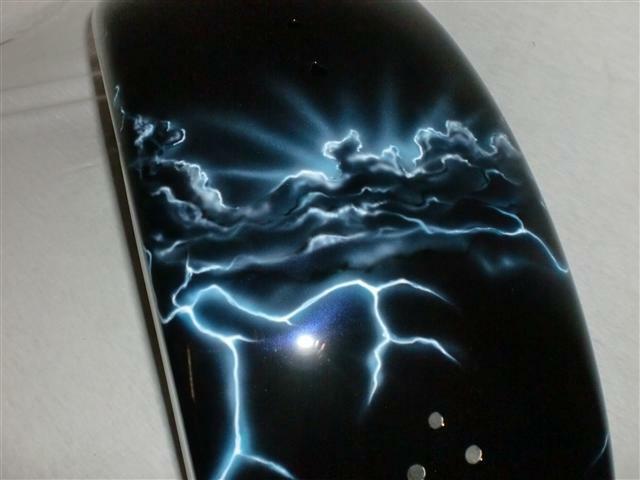 This set is all airbrushed by hand by one of our talented artist. 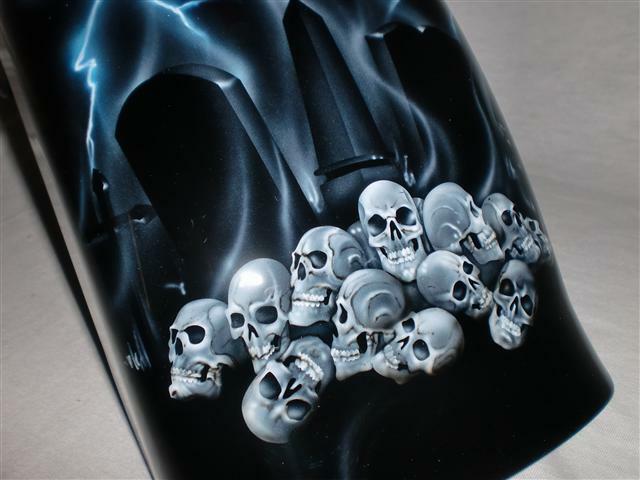 The detail will keep your eyes busy for hours exploring the story to be told on this paint set. 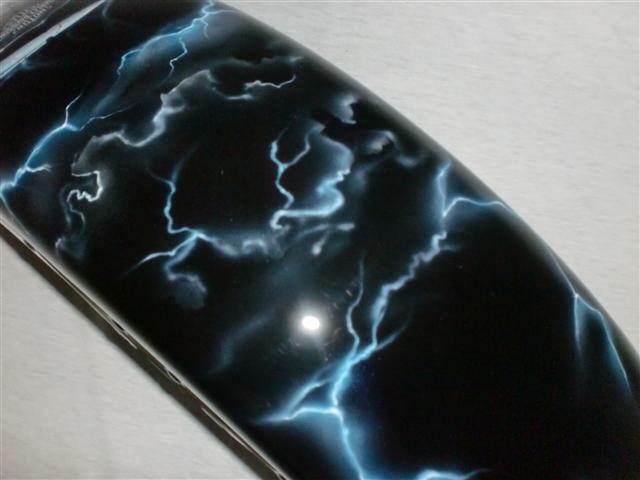 This set can be done on any color of base coat, or we can change colors to your liking. 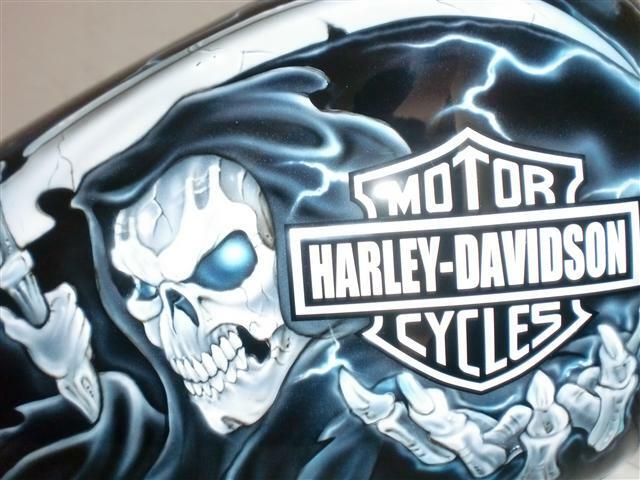 Call us today to discuss all of your options. 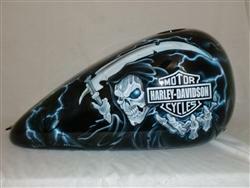 Made my bike look brand new! 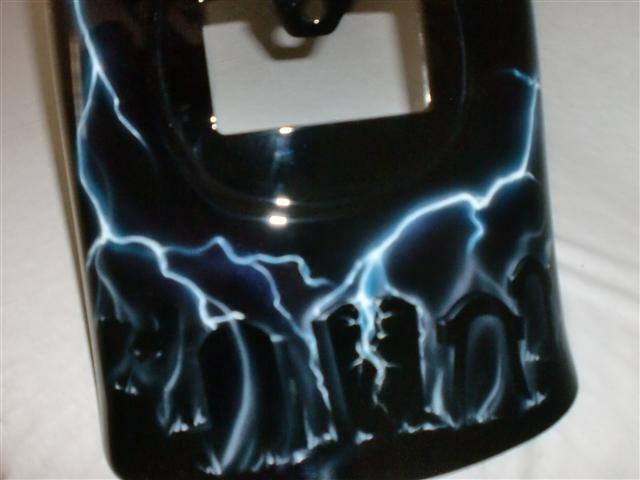 The staff at C.R. 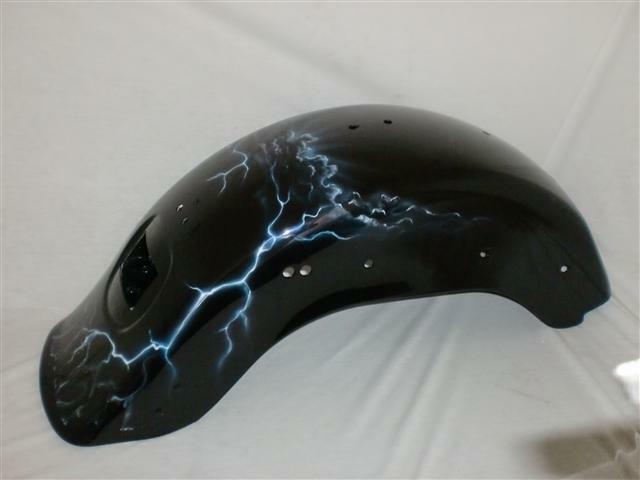 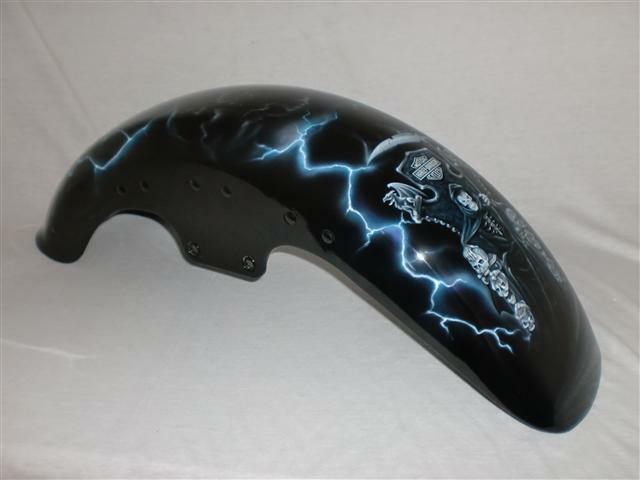 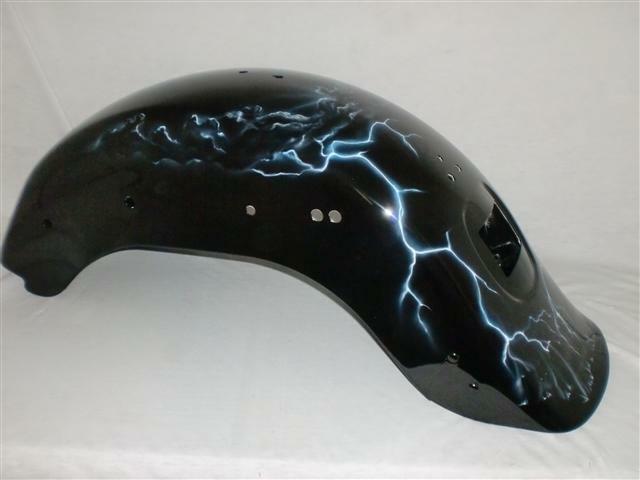 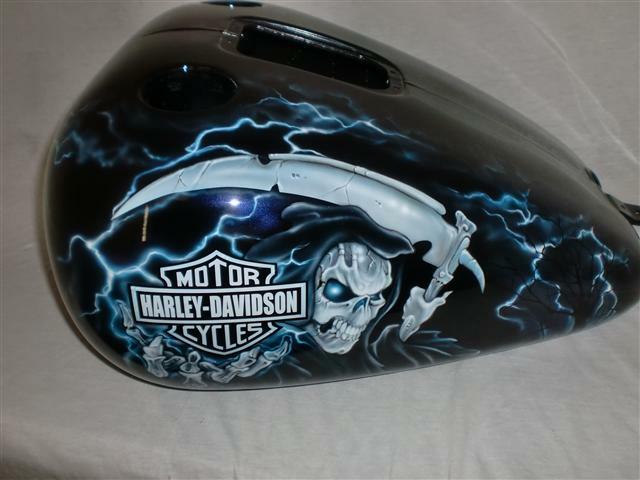 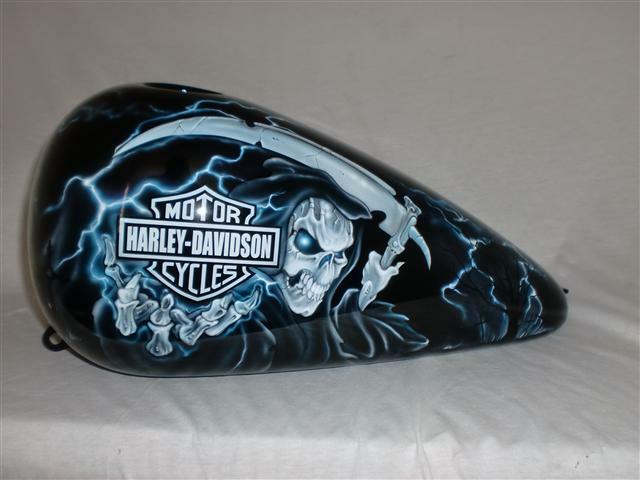 Designs were professional, provided fast service, and worked with me to develop my bike paint design. 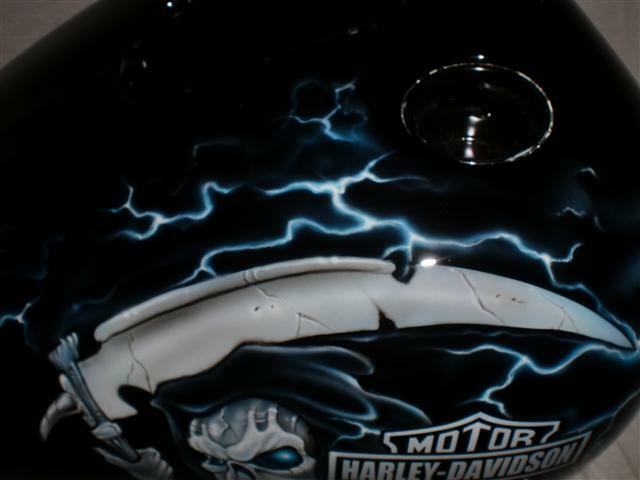 I highly recommend ordering paint sets or having Chad and his staff custom paint your bike!